An investigation by KQED found that the analysis will be done under unprecedented time pressure, with less transparency, less outside scientific scrutiny, and without, say federal scientists, the resources to do it properly. According to internal emails obtained under the Freedom of Information Act, federal scientists raised two major concerns: that their agency lacks the staff to undertake the analysis and that the Trump Administration is skewing the rules to boost the water supply for Central Valley farms. Some see the fingerprints of acting interior secretary David Bernhardt, who once helped lead the charge to increase pumping and weaken environmental standards in the Delta. He was then a lawyer for the Fresno-based Westlands Water District, the largest agricultural water agency in the country. Bernhardt is already under scrutiny after a recent New York Times story reported that, shortly after joining the Interior Department in 2017, he directly advocated on Westlands’ behalf to get more water for farmers at the expense of endangered fish, even though federal rules precluded him from lobbying. Last week, the Campaign Legal Center, a non-profit ethics organization in Washington, D.C., filed a complaint demanding that the Interior Department’s inspector general open an investigation into whether Bernhardt is using his public office to benefit his former client. Bernhardt now oversees two of the three agencies under orders from the White House to expedite the new rules shaping California’s water future: the U.S. Fish and Wildlife Service and the U.S. Bureau of Reclamation. At stake is the future of fish teetering on the edge of existence, a salmon fishing industry in crisis, and the ample supply of water flowing through millions of California faucets and fields. Just five years ago, Bernhardt stood before a panel of judges on the Ninth Circuit U.S. Court of Appeals. He was there arguing on behalf of Westlands Water District, and its 600,000 acres of farmland, that federal environmental rules protecting salmon should be thrown out. Now, as head of the agency that controls decisions affecting his former client, Bernhardt is leading the charge to replace those rules. Agricultural water districts have long disdained the current rules (called “biological opinions” and written in 2008 and 2009). The rules require state and federal pumps in the Delta to slow down when endangered salmon, smelt and other fish are nearby, in order to protect them. That diminishes the water supply for farmers, leaving them scrambling to fill the gap. When people shout “fish vs. farms,” that’s usually what they’re talking about. During President Trump’s 2016 campaign, he promised Central Valley farmers he would send them more water. As a step toward keeping that promise, Trump signed an October 2018 memo ordering the rapid scientific review. As a first step, the Bureau, which operates dams and water pumps, released an 871-page proposal in early February for how it would like the rules to operate. The plan, called a “biological assessment,” would provide billions of gallons more water for agricultural and urban water districts, an increase of 10 to 15 percent depending on the year. That would leave less in the Delta for endangered fish. Environmental groups are alarmed at the proposal. According to federal law, two federal wildlife agencies, the National Oceanic and Atmospheric Administration and the U.S. 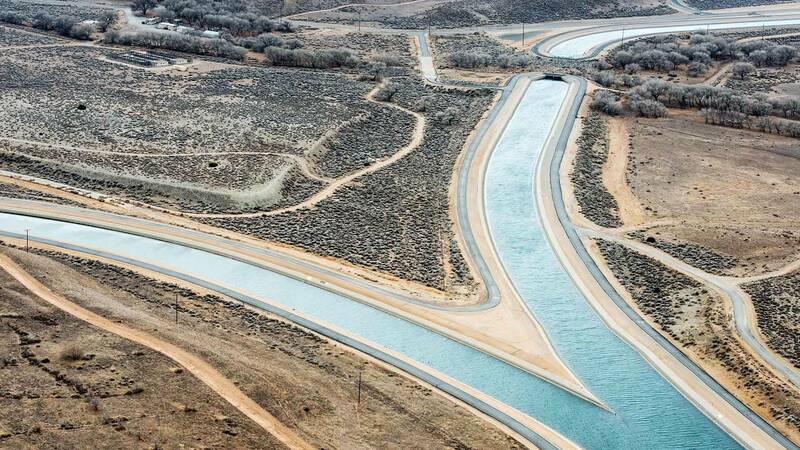 Fish and Wildlife Service, must now review the Bureau of Reclamation’s plan. If it doesn’t do enough to protect threatened fish, the agencies have the obligation and legal authority to write rules that do. These biological opinions will replace the current ones, although they could be challenged in court. Under President Trump’s decree, federal biologists must write those opinions in 135 days, the minimal amount of time guaranteed under the Endangered Species Act. Given the complexity of the issues, the agencies have previously needed more time than that to complete their analysis, from 60 to 80 percent more time. Even before Trump tightened the timeline, one of the agencies, NOAA Fisheries, warned that it did not have the resources to do the analysis. Excerpt from an internal NOAA email. In July 2018, Maria Rea, the assistant regional administrator in the California Central Valley Office of NOAA, described the agency’s dilemma in an email to her internal staff. She said it took 30 part-time staff and 10 full-time staff to complete the previous biological opinion in 2009, which took 246 days. “We do not have resources to undertake this consultation,” Rea wrote. NOAA is working to reassign staff, currently on other projects, to at least achieve similar staffing levels, according to agency staff who spoke on the condition they not be identified. The federal government shutdown in January slowed that process. In an email to fellow NOAA Fisheries staff last summer, Water Operations and Delta Consultations Branch Chief Garwin Yip outlined his misgivings about cases where there is scientific debate about what the fish need. “Absence of definitive science should not be the reason to propose actions more aggressive towards water supply,” Yip wrote. 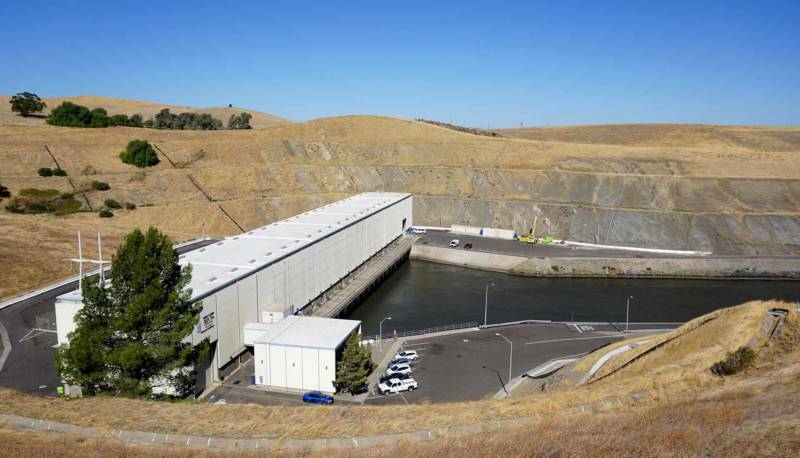 While the Bureau of Reclamation has updated its proposal since then, it’s unclear whether those concerns have been addressed. Some say the agency has cherry-picked the science in favor of boosting water for farmers. The agency says “dynamic rules,” which rely on new technology that monitors where the fish are in the Delta, can do a better job than fixed rules. This is where some see the influence of Bernhardt, who told The New York Times that he directed a senior official to weaken protections for fish and divert water to farms as part of a broader administration policy to help rural America. The internal emails also show the new environmental rules will receive less outside scientific review than ever before, which eliminates public involvement. Peer review, in which independent scientists assess other researchers’ work, is a core practice of science, and previous biological opinions have received that scrutiny. When the current rules were written in 2008, the draft biological opinion from NOAA Fisheries underwent an independent review by a panel of scientists. The review included a meeting where the public could attend and comment. This time, wildlife agencies say the Trump Administration’s deadline won’t allow for that. NOAA Fisheries, which is writing the environmental rules for salmon and other fish, plans to have some independent scientific review, according to agency staff. The draft biological opinion will be sent out to individual scientists, but without public involvement or comment. “We intend to incorporate peer review into the development of our biological opinion,” said Shane Hunt, spokesman for the federal agency’s Bay-Delta Fish & Wildlife Office. “We are still ironing out the details." Meanwhile, as the public is frozen out, water districts will be given unprecedented access. For the first time, public water agencies, keen to boost their supply, are invited to be heavily involved in the development of the environmental rules in the biological opinions, which are legally mandated to protect fish. In 2016, Congress passed, and President Obama signed, the WIIN Act, giving water contractors the power to “have routine and continuing opportunities to discuss and submit information” to federal agencies developing the biological opinions. 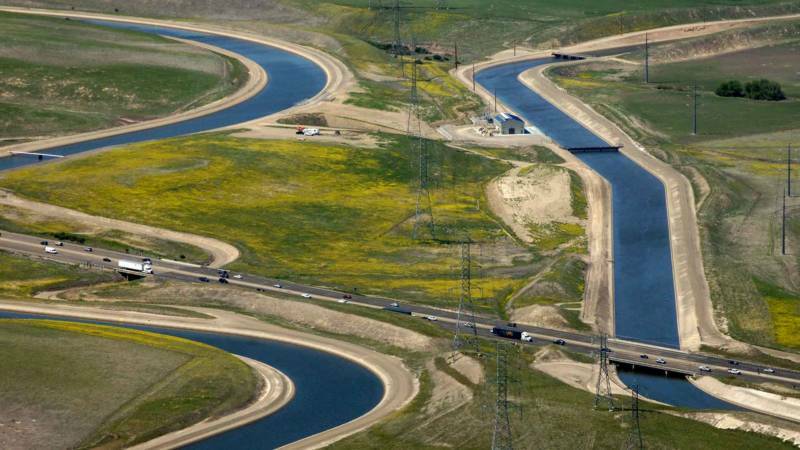 The act, pushed by Senator Dianne Feinstein and Central Valley Republicans, was an effort at compromise after years of water battles in California. Before the Bureau of Reclamation even finished its proposed plan, water agencies had the chance to submit their take on endangered species protections. Westlands Water District did not respond to questions about its involvement. Water agencies will also receive drafts of the biological opinions from wildlife agencies. Under the law, their comments must be “afforded due consideration” by wildlife biologists. If the comments aren’t adopted, those biologists must explain why.